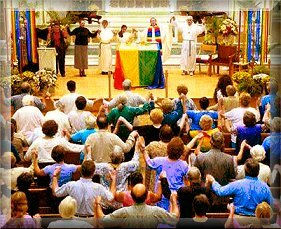 Language of the "New Mass"
When God calls, will we respond? We have reached the stretch run into Lent with the short week of Quinquagesima as we all prepare for the penitential season beginning on Ash Wednesday this week. We see in Sunday's Gospel that the blind man had such faith in Jesus that he knew he would be healed and he was for as Our Lord told him, "thy faith hath made thee whole". That is what we need to have, that belief and faith that God can heal anything, not necessarily physically, but spiritually and all we need do is ask and He will be there. 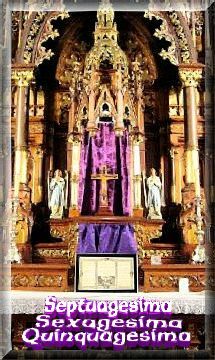 Father Benedict Hughes, CMRI helps us prepare for Lent with his sermon for Quinquagesima Sunday on Penance as we all need to keep in mind the words we shall hear in just a few short days,"Memento, homo, quia pulvis es, et in pulverem reverteris" - "Remember, man, that thou art dust, and unto dust thou shalt return". 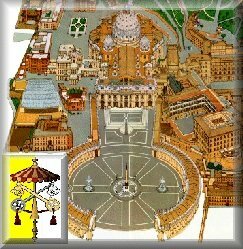 Speaking of countdown, we ourselves are remiss in not publishing up until now the Thirty-Day Novena to Saint Joseph in preparation for the feast on March 19 of the earthly father of Jesus, chaste husband and protector of Mary and Patron of the Universal Church as well as so many other worthy titles. 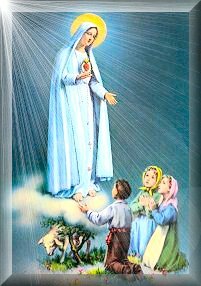 Just click the icon to the right for the short daily prayer or longer one, depending on whatever time your state in life allows for this and the holy Rosary. 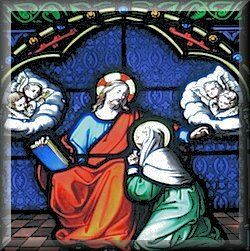 Throughout this short week, we bring you not only three more inspiring reflections from the esteemed Benedictine Abbot Dom Prosper Gueranger, but also three more chapters of St. Bridget of Sweden's thought-provoking revelations of Christ's words to her, especially on Tuesday when we are given a front row seat to what our own Particular Judgment could be like. It's worth the read so we all will amend our ways for while God is all-merciful, He is also all-just, and His Justice will not be mocked. 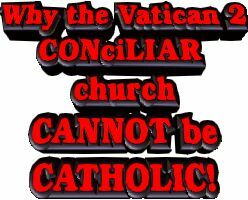 What has been mocked is Our Lord through the "abomination of desolation" which is the Novus Ordo. 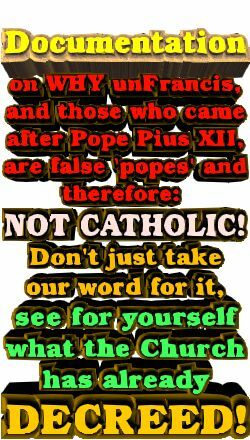 We see this in the final six installments of Father James F. Wathen's landmark book The Great Sacrilege where he makes no bones about the "New Mass": "It is a mortal sin to attend it." We see the origin of this warning in the Book of Daniel as we bring you passages from Daniel 8 and 9 of the interruption of the continual sacrifice. We end this with the end of Chapter 9 and encourage you to make scripture reading part of your spiritual exercises during Lent by going to the best Douay-Rheims version available on line at DRBO.org. Many have asked how Cyndi is doing. I wish we had better news, especially knowing we're still in arrears in paying our bills, though we made it through February, but now must face the reality of March ahead with another $1,500.00 in payments facing us. I remind all that without monthly pledges, we can't budget. Maybe the U.S. Government can get away without a budget, but we can't. 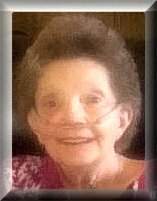 We ask if you can find it in your heart to help Cyndi's Angels especially in this time when Cyndi is battling just to stay alive. As you can imagine this becomes all the more vital for Cyndi's blood oxygen dropped to the mid to low seventies this past week and that is not good, but evident that the end-stage COPD is taking its toll on her, yet she continues to soldier on, exemplifying St. Paul's words from last Sunday's epistle, "My grace is sufficient for thee; for power is made perfect in infirmity. Gladly therefore will I glory in my infirmities, that the power of Christ may dwell in me". Each day we continue to bring you passages of the prophet Daniel in preparation for Lent, since Our Lord and Our Lady point to Daniel in the Old Testament as pivotal for our times. Verses are from the Douay-Rheims Latin Vulgate. Daniel 8: 1-27 In the third year of the reign of king Baltasar, a vision appeared to me. 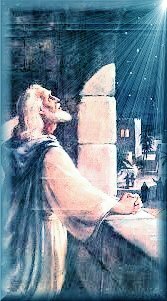 I Daniel, after what I had seen in the beginning, Saw in my vision when I was in the castle of Susa, which is in the province of Elam: and I saw in the vision that I was over the gate of Ulai. And I lifted up my eyes, and saw: and behold a ram stood before the water, having two high horns, and one higher than the other, and growing up. Afterward I saw the ram pushing with his horns against the west, and against the north, and against the south: and no beasts could withstand him, nor be delivered out of his hand: and he did according to his own will, and became great. 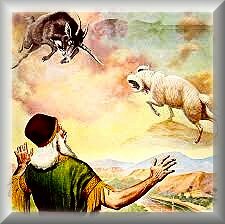 And I understood: and behold a he goat came from the west on the face of the whole earth, and he touched not the ground, and the he goat had a notable horn between his eyes. And he went up to the ram that had the horns, which I had seen standing before the gate, and he ran towards him in the force of his strength. And when he was come near the ram, he was enraged against him, and struck the ram: and broke his two horns, and the ram could not withstand him: and when he had cast him down on the ground, he stamped upon him, and none could deliver the ram out of his hand. And the he goat became exceeding great: and when he was grown, the great horn was broken, and there came up four horns under it towards the four winds of Heaven. And out of one of them came forth a little horn: and it became great against the south, and against the east, and against the strength. And it was magnified even unto the strength of Heaven: and it threw down of the strength, and of the stars, and trod upon them. And it was magnified even to the prince of the strength: and it took away from him the continual sacrifice, and cast down the place of his sanctuary. And strength was given him against the continual sacrifice, because of sins: and truth shall be cast down on the ground, and he shall do and shall prosper. And he said to him: Unto evening and morning two thousand three hundred days: and the sanctuary shall be cleansed. And it came to pass when I Daniel saw the vision, and sought the meaning, that behold there stood before me as it were the appearance of a man. 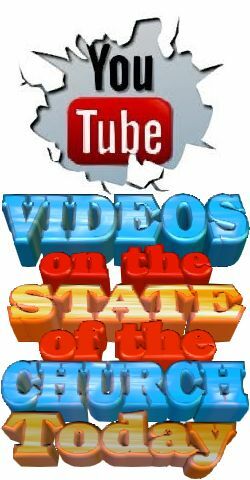 And I heard the voice of a man between Ulai: and he called, and said: Gabriel, make this man to understand the vision. And he came and stood near where I stood: and when he was come, I fell on my face trembling, and he said to me: Understand, O son of man, for in the time of the end the vision shall be fulfilled. And when he spoke to me I fell flat on the ground: and he touched me, and set me upright, And he said to me: I will shew thee what things are to come to pass in the end of the malediction: for the time hath its end. The ram, which thou sawest with horns, is the king of the Medes and Persians. And the he goat, is the king of the Greeks, and the great horn that was between his eyes, the same is the first king. But whereas when that was broken, there arose up four for it: four kings shall rise up of his nation, but not with his strength. And after their reign, when iniquities shall be grown up, there shall arise a king of a shameless face, and understanding dark sentences. And his power shall be strengthened, but not by his own force: and he shall lay all things waste, and shall prosper, and do more than can be believed. And he shall destroy the mighty, and the people of the saints, according to his will, and craft shall be successful in his hand: and his heart shall be puffed up, and in the abundance of all things he shall kill many: and he shall rise up against the prince of princes, and shall be broken without hand. And I Daniel languished, and was sick for some days: and when I was risen up, I did the king' s business, and I was astonished at the vision, and there was none that could interpret it. 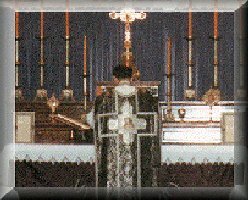 The Haydock Commentary for Quinquagesima Sunday and provided by John Gregory deals with both charity and faith. The epistle focuses on St. Paul's words to the Corinthians that works without charity, true charity rooted in love of God, is empty as "a tinkling cymbal." 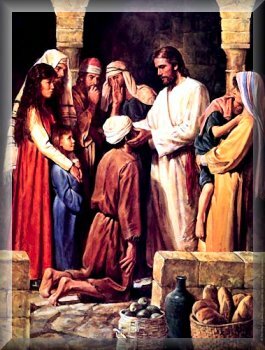 It was charity that prompted Our Lord to recognize the blind man when the crowd and authorities sought to be uncharitable in preventing him from "disturbing" the Master. But the man's faith proved worthy to Our Lord when He said, "Thy Faith hath made thee whole"
We continue with passages of the prophet Daniel in preparation for Lent, since Our Lord and Our Lady point to Daniel in the Old Testament as pivotal for our times. 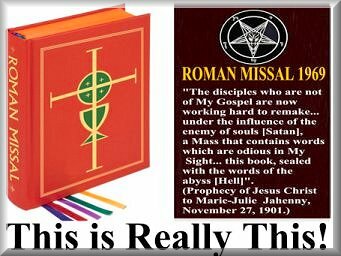 Verses are from the Douay-Rheims Latin Vulgate. Daniel 9: 1-16	In the first year of Darius the son of Assuerus of the seed of the Medes, who reigned over the kingdom of the Chaldeans: The first year of his reign, I Daniel understood by books the number of the years, concerning which the word of the Lord came to Jeremias the prophet, that seventy years should be accomplished of the desolation of Jerusalem. And I set my face to the Lord my God, to pray and make supplication with fasting, and sackcloth, and ashes. And I prayed to the Lord my God, and I made my confession, and said: I beseech thee, O Lord God, great and terrible, Who keepest the covenant, and mercy to them that love Thee, and keep Thy commandments. We have sinned, we have committed iniquity, we have done wickedly, and have revolted: and we have gone aside from Thy commandments, and Thy judgments. We have not hearkened to Thy servants the prophets, that have spoken in Thy name to our kings, to our princes, to our fathers, and to all the people of the land. To Thee, O Lord, justice: but to us confusion of face, as at this day to the men of Juda, and to the inhabitants of Jerusalem, and to all Israel to them that are near, and to them that are far off in all the countries whither Thou hast driven them, for their iniquities by which they have sinned against Thee. 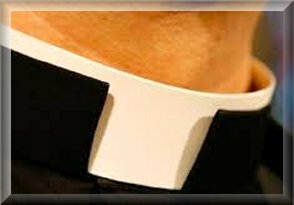 O Lord, to us belongeth confusion of face, to our princes, and to our fathers that have sinned. But to Thee, the Lord our God, mercy and forgiveness, for we have departed from Thee: And we have not hearkened to the voice of the Lord our God, to walk in His law, which He set before us by His servants the prophets. And all Israel have transgressed Thy law, and have turned away from hearing Thy voice, and the malediction, and the curse, which is written in the book of Moses the servant of God, is fallen upon us, because we have sinned against Him. And He hath confirmed His words which He spoke against us, and against our princes that judged us, that He would bring in upon us a great evil, such as never was under all the Heaven, according to that which hath been done in Jerusalem. As it is written in the law of Moses, all this evil is come upon us: and we entreated not Thy face, O Lord our God, that we might turn from our iniquities, and think on Thy truth. And the Lord hath watched upon the evil, and hath brought it upon us: the Lord our God is just in all His works which He hath done: for we have not hearkened to His voice. 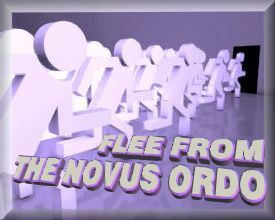 And now, O Lord our God, Who hast brought forth Thy people out of the land of Egypt with a strong hand, and hast made Thee a name as at this day: we have sinned, we have committed iniquity, O Lord, against all Thy justice: let Thy wrath and Thy indignation be turned away, I beseech Thee, from Thy city Jerusalem, and from Thy holy mountain. For by reason of our sins, and the iniquities of our fathers, Jerusalem, and Thy people are a reproach to all that are round about us. The venerable Benedictine Abbot Dom Prosper Gueranger presents a reflection for Quinquagesima Monday on in which the life of a faithful Christian, like that of the patriarch Abraham, is neither more nor less than a courageous journeying onwards to the place destined for him by his Creator. He must put aside everything that could impede his progress, nor must he look back. 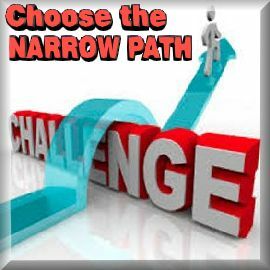 This is, undoubtedly, hard doctrine; but if we reflect, for a moment, on the dangers which surround fallen man during his earthly pilgrimage, and on what our own sad experience has taught us, we shall not think it hard or strange, of the question all should ask themselves: When God calls, will we respond? 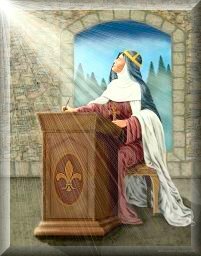 In Chapter One-Hundred-One of Book Four of the Prophesies and Revelations of St. Bridget of Sweden, Our Lady shares with the bride how her divine Son's most Sacred Heart is most sweet, most clean, and most pleasant. It abounds in love that even if a sinner were standing at the very door of perdition and cried out to Him with a firm purpose of amendment, that prodigal son would be freed. Mary shows the two ways we can reach God's Heart through humility of true contrition and through the devout and frequent contemplation of His sorrowful Passion for to know Jesus is to love Him, and, unless we know what He went through for us and understand His compassion and sacrifice, how could we ever love Him as the Mother of God wants us to so much because of her love for God's children. We should be running to Him in joy and gratitude out of pure love for God. Getting to the Heart of the matter. We continue with passages of the prophet Daniel in preparation for Lent, since Our Lord and Our Lady point to Daniel in the Old Testament as pivotal for our times. Verses are from the Douay-Rheims Latin Vulgate. 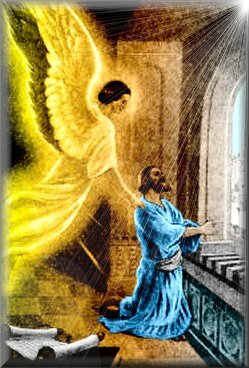 Daniel 9: 17-25	Now therefore, O our God, hear the supplication of Thy servant, and his prayers: and shew Thy face upon Thy sanctuary which is desolate, for Thy Own sake. Incline, O my God, Thy ear, and hear: open Thy eyes, and see our desolation, and the city upon which Thy name is called: for it is not for our justifications that we present our prayers before Thy face, but for the multitude of Thy tender mercies. O Daniel, I am now come forth to teach thee, and that thou mightest understand. From the beginning of thy prayers the word came forth: and I am come to shew it to thee, because thou art a man of desires: therefore do thou mark the word, and understand the vision. 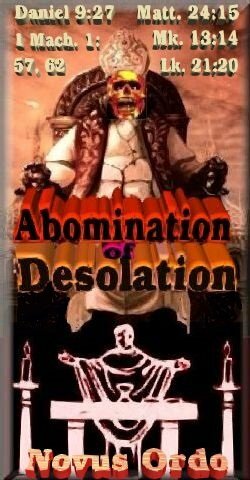 And he shall confirm the covenant with many, in one week: and in the half of the week the victim and the sacrifice shall fall: and there shall be in the temple the abomination of desolation: and the desolation shall continue even to the consummation, and to the end. For the rest of the Book of Daniel and more, we encourage you to go to DRBO.org for scripture reading throughout Lent. In Chapter One-Hundred-Two of Book Four of the Prophesies and Revelations of St. Bridget of Sweden, we are given privy to a soul on trial at his or her Particular Judgment. 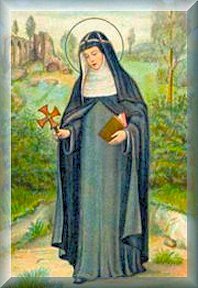 It was presented in order to give St. Bridget and more importantly, each one of us, an idea of what the Judgment will be like for in this chapter we see the soul of a monk who stands before Christ the Judge. The Blessed Virgin Mary, in all compassion, intercedes for him as his defense, but before the divine Judge both the soul and the devil, who is the prosecutor, cannot lie and it is not only the evil one's arguments, but the soul's own testimony that condemns him for he presumed that God would have mercy on him despite his disdain for the religious life and seeking sanctity by modeling his life after the saints. It is with a clap of thunder that he is dispatched to hell for favoring the world, the flesh, and the devil. In this case, to the chagrin of the Judge and His Immaculate, loving Mother, the devil wins. It should be a lesson for everyone who thinks they can continue their lifestyle and will amend their ways later in life. We know not the day nor the hour. It is an excellent lesson: Repent now and amend thy ways. Don't wait until it's too late.